When I was watching the winter Olympics, I couldn't help but notice that a lot of the athletes were wearing neck gaiters (fancy name for neck warmers) rather than entire balaclavas. After their respective event, many of them covered their face with them to keep warm while they waited for the scores to come in. As someone who has always favored a full on ski-mask plus helmet, I found the versatility to be intriguing. It's definitely something I'm going to be testing out next year on the slopes. Use the above links to jump to any given product, or keep reading to learn more about why they were chosen. Neck Gaiters 101: What to Look For? Keep your neck and lower part of your face warm. Protect your skin from outside wetness and wick away any sweat-based moisture from the skin. Prevent excess sun exposure when you're high up in the mountains. When you're making the final purchase, look for products that fit all three of these criteria. 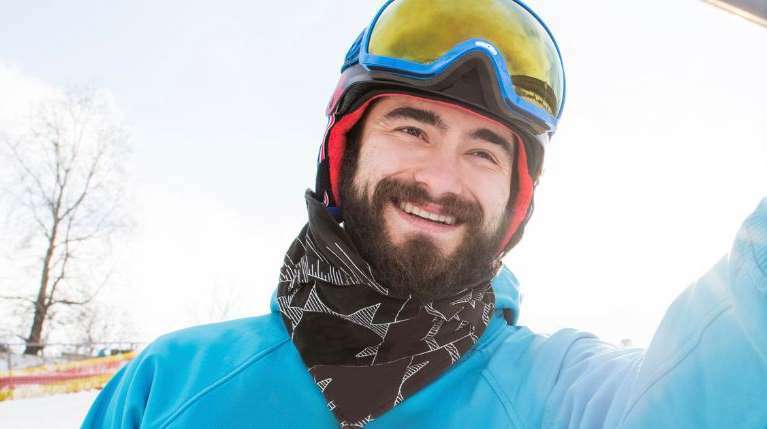 Generally speaking, there are three types of materials that serve as effective neck warmers when participating in snow sports: fleece polyester, acrylic, and Merino wool. Often times, you'll see these materials discussed in the context of natural vs. synthetic. While all of these materials work well, we choose to stay away from the wool products because they are generally pricier, less durable in the long run, and have some ethical issues worth considering. They can also cause unpleasant reactions for people with skin sensitives. Plus, the synthetics have always done well on all our ski trips. To be fair, there are certainly some environmental impacts to be considered for polyester and acrylic. No fabric is the 100% perfect solution, but right now, they're the best we've got. A good neck warmer isn't always the thickest one. Some days on the slopes simply aren't as cold as others. Even if it's warm out, you'll still want to wear something light to cover your neck when you're outside all day. You'll still get a little chilly at the top of the lift, and it's important to protect yourself from UV exposure at high altitudes. Believe it or not, you can get a sunburn when you're skiing! Sometimes, it's good to have a neck warmer that's versatile, specifically if it's on one of those warmer days. All neck warmers should have the ability to sit on the neck as well as the lower portion of the face. However, some of the lighter ones have the ability to function as a hat, bandanna, full on balaclava, scrunchie, and more. 5. What's a Good Price? Generally speaking, most quality neck warmers aren't going to break the bank. In fact, most of the best brands sell for below $20. You can save even more money if you buy in the off-season. Retailers tend to want to get rid of their winter inventory to make room for new things, so it generally means a price drop. It's impossible to talk about Neck Warmers without talking about Turtle Fur. 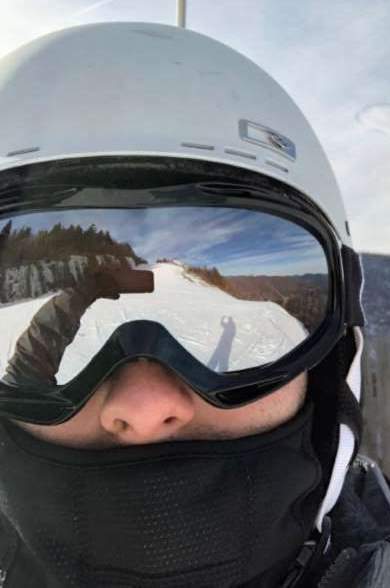 Located in Vermont below Mount Mansfield, the company is one of the market leaders for neck warmers and gaiters for skiing, snowboarding, and anything in the snow. The Turtle's Neck is one of their original products and has been around ever since I could remember. Pros: With it's double acrylic layers, this is arguably one of the warmest neck protectors you can buy. Many people also find it to be soft and extremely comfortable. It's extreme thickness makes it perfect for the really cold days out on the slopes. Cons: Some people found that it began to shed too much after some usage. Additionally, because it's one size fits all, there's going to be some people where the fit is either too big or to small. The Chelonia is another product from the Turtle Fur line. It's designed to be a bit lighter than the "Turtle's Neck," yet still provide plenty of warmth. The two layers are designed to trap the heat from your body and keep it in. Pros: Just like the original, many people find that the Chelonia 150 Turtle Fur is extremely warm, comfortable, and soft. The fabric seems to do a good job maintaining it's shape, assuming that it's not purposely overstretched. Cons: Some people report issues of shedding and pilling. Sizing might also be an issue if you're at either end of the big-small spectrum. Dakine is one of the biggest names in ski-wear, and I'm a personal users of their liner gloves (that I did a full review on here). Along with their other line of highly-praised products, they also happen to make this neck gaiter. Pros: As you might expect from the brand, this product is reported to do everything that it's supposed to: keep your neck cozy and warm. Cons: My research didn't lead me to find many issues on this one, but to be fair, it's a lot less popular than Turtle Fur. This means a lot less people are trying it out. The BUFF Original 12-in-1 isn't the ideal choice if you're going to a cold ski resort in the dead of winter. For that, you'll want one of the medium or heavyweight options. However, it is an extremely versatile piece of ski gear that you can use on mild days to prevent a chill and block the sun. The most interesting function of this piece is that you can wear it in many different ways: 12 to be exact. It can be used as a: neck gaiter, mask, du-rag, hood, bandanna, wristband, headband, foulard-like necktie, scrunchy, balaclava, and skull cap. Pros: The area where this product shines is versatility. It's truly something you can use in all four seasons, unlike the other products. Additionally, the microfiber polyester gives it an advantage for wicking away sweat. This will keep you dry and less cold in the long run, as freezing sweat is why you should avoid cotton for cold sports. Cons: It's not going to be as heavy and warm as some of the other products on this list. The Condor Thermo is designed to be a well-fitted cold weather neck gaiter. This anatomically-minded product comes with an elastic band, which makes it easier to fit around the neck or use as a face mask. Pros: The elastic band design makes it easier to hold in whatever position you want. Many people find it capable of providing plenty of warmth without a bunch of excess bulky material. Cons: Some may find that the lack of excess material results in not enough coverage. Additionally, when you compare the weight to the Turtle Fur products, it is rather light. It doesn't have the Turtle Fur's cascading "roll" look, simply because it has less material to work with. If using a dedicated neck warmer isn't your style, there are other ways to keep warm above the shoulders. There's also balaclavas, insulated helmets, skull caps, and much more. Check out this guide to keeping your face, neck, and head warm to learn more about them. Finally, if you want to see all the gear that I personally use on the slopes, you'll want to see my Complete Guide to Keeping Warm While Skiing.